J. Kevin Moore is a senior attorney at Bold, Polisner, Maddow, Nelson & Judson. He has more than thirty years of experience representing clients in construction, commercial, and general liability litigation matters. His clients include residential and commercial developers and general contractors, owners, water districts, trade contractors, and construction material suppliers. Mr. Moore also has significant experience in advising clients concerning risk management, contract formation and negotiation, and insurance issues. He has tried cases before various California Superior Courts and arbitration panels administered by the American Arbitration Association. He has also briefed and argued appeals before various California Courts of Appeals. 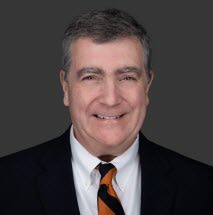 Mr. Moore has authored and co-authored articles for legal publications on a variety of issues including the use of alternative disputes resolution in construction litigation and the impact changes in indemnity statutes have had on construction contracting and litigation. He has spoken on construction and litigation topics, including electronic discovery, the California Right to Repair Act, green construction, infrastructure construction and claims, construction contracting, and risk transference and indemnity provisions. He also was an adjunct instructor for the University of California, Berkeley University Extension Program. Mr. Moore is a member of the California State Bar and an inactive member of the State Bar of Virginia. He is admitted to practice before the United States Courts of Appeals for the Fourth, Ninth, and Federal Circuits; the United States District Courts for the Eastern District of Virginia, the Northern and Eastern Districts of California; and the United States Claims Court. He has also represented clients in matters before various Boards of Contract Appeals, the Comptroller General for the United States, the United States Bankruptcy Courts, and private professional arbitrators and mediators. Mr. Moore graduated from the University of Virginia in 1983 with a B.A. degree in Government and from the Wake Forest University School of Law in 1986 with a J.D. degree. While at Wake Forest, he was on the staff of the Wake Forest Law Review. Mr. Moore is a member of the Association of Defense Counsel for Northern California and Nevada and the Claims and Litigation Management Alliance. He is also an active community volunteer, serving numerous years as a coach for the Walnut Creek Youth Association and serving on the boards of various non-profit organizations in Walnut Creek, California.